Campaign - SUI Solutions. FileMaker Templates. Professional Software Development for FileMaker. Define campaign steps with description, start date, end date and executive properties. 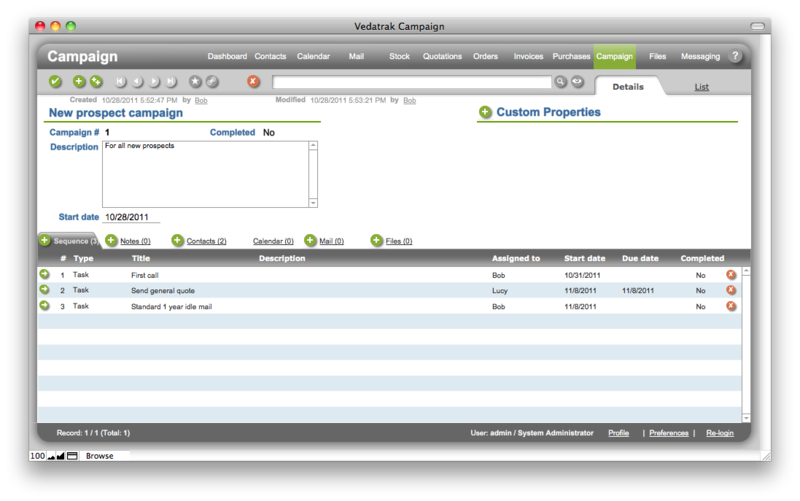 Link your campaign sequence with any set of customer, prospect or vendor contacts. After approving the campaign the set of linked appointments will be created for each contact from linked contact group.